They say that one of the drawbacks of having a landscape is its immense hunger for water. Sure, landscapes can never be completed without lawns, trees, shrubs, flowers, and more plants. But having a large garden area should not be considered a problem if you have an excellent water management system installed in your landscape. If you need a contractor who can help you create an effective water management system, call us. We conduct proper assessment of the area before we start this kind of project. We also collaborate with clients to know how much involvement they can commit. You'll be amazed that having an efficient system is not only about conserving water but also about conserving your time and energy. Here are some of the techniques we use for our landscaping projects in various areas in Pennsylvania. Rainwater Harvesting: In ancient times, people used to pray, dance, and offer to the gods for rainwater. That's until irrigation was invented. Today, even with modern irrigation, your landscape can still take advantage of the free water from the sky by using a rain harvesting method. This type of water management is common because it is easy to implement. 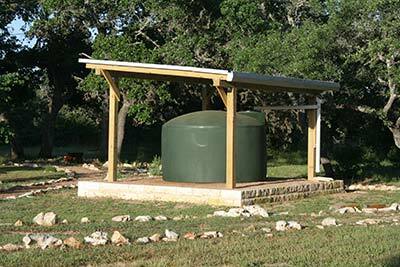 Rainwater harvesting is the process of gathering and keeping rainwater. The collected water is stored in a cistern and can be used for varied purposes, like watering plants and driveway cleanup. It can be a part of the irrigation system to promote easiness of use. Seepage Beds: Normally, landscapes are maintained using the same clean water used for taking a bath or washing dishes. What if the water from these household chores can be reused for landscapes? It's possible with seepage beds. Such beds resemble a trench with clean and coarse aggregate, from which sewage water is treated so it can be reused and distributed to the surrounding soil. Swales, Bio-Swales, Bio-Ponds, Drains and Piping: Natural or man-made, swales serve the same purpose—handle water runoff. With bio-swales, this runoff can be filtered and prepared for a landscape use. Sometimes, the collected water can be too much to seep through the aggregates that the swales literally become bio-ponds. It can be a good scene, serving as a water feature and a water management system at the same time. Drains and piping techniques can be used to efficiently utilize the "pond" water for the landscape. 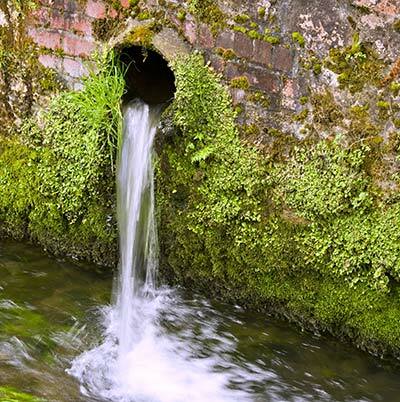 Drainage Systems: The preceding sections talk about how to collect and reuse water. But sometimes, too much water can be harmful than good. That's when a good drainage system comes into the scene. This is a systematic way of channeling the water out of the landscape to prevent problems, like landslide, flooding, and mold growth. Drainage systems come in many types and can be simple to complex. What's important is to build a system that's perfect for the soil and the landscape as a whole. There's more than one way to manage water. At Bryn Mawr Landscaping, we do this systematically. We determine the perfect system for you by conducting a diligent analysis and careful planning. And during the implementation, we'll be with you all the way. 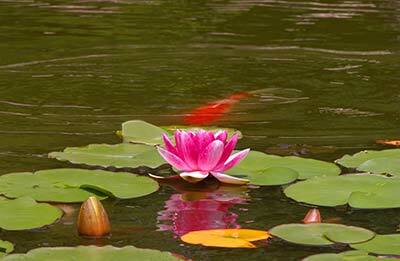 Our team specializes in everything about landscaping, including water management. We've already completed similar projects in Ardmore, Willistown, and other cities in the state. Call us today for a free estimate and consultation.